A perfect book to read with your child in bed while having a lie-in! When his parents wake up, Zou is allowed in their bed. “Are you awake?” asks Zou. “We’re asleep,” they say. How can Zou wake them so they won’t be grumpy? Zou, a resourceful little zebra, finds a creative solution to a problem all young children will identify with, making for a sweet, humorous family story, especially good for Saturday mornings. When Mummy and Daddy wake up, Zou is allowed to climb into their bed. Knock, knock! “Are you awake?” asks Zou. How can Zou wake them so they won’t be grumpy? 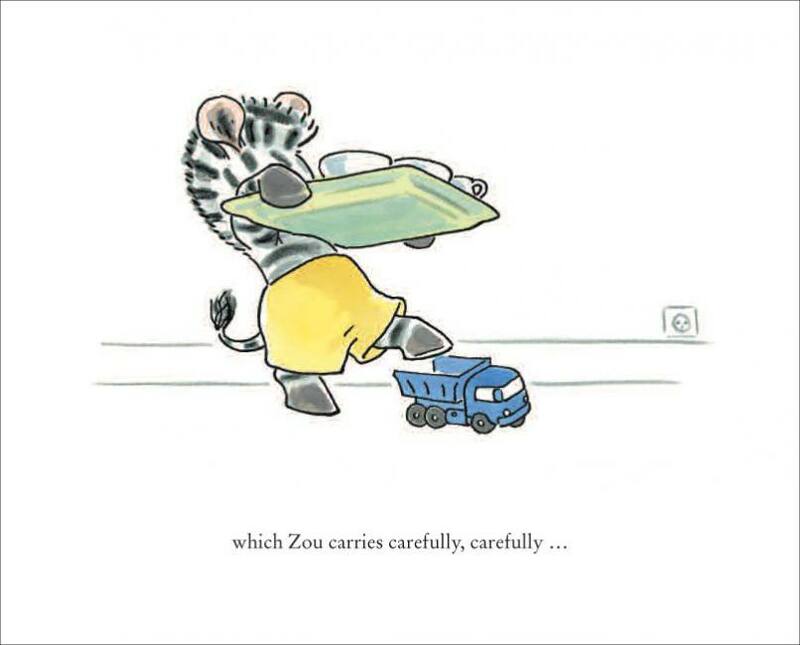 This is a funny little book about a helpful zebra called Zou. It’s the weekend and Zou is keen to play but his mum and dad are still asleep. So Zou ponders the best way to wake them up and decides on coffee – and lots of it. Of course he runs into a few little problems but perseveres and ends up having cuddles with his parents, which is what he wanted all along. The book is aimed at the 2+ age group and offers an insight into the workings of a child’s mind and his parents’ reaction to it. 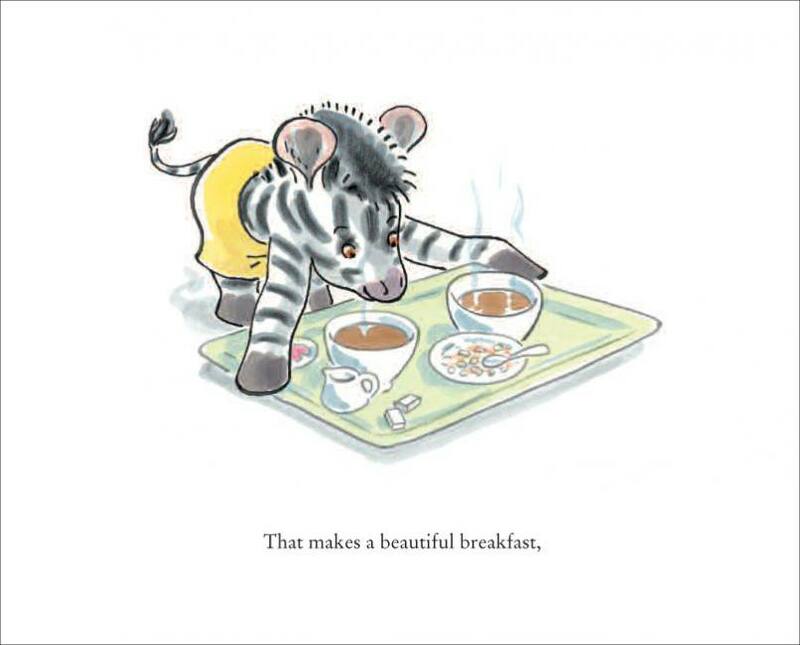 …every parent who’s ever had breakfast brought to them in bed by a learner cook will appreciate Michel Gay’s resourceful little zebra, Zou, whose predictable moves have a deliciously French flavour to them. No cups of tea here, but bowls of cafe au lait, along with cereal and jam. Domestic disaster may be inevitable but, undaunted, Zou ekes out the last of what’s in the coffee pot by bringing out his toy teaset. Climbing into bed with mum and dad is the ultimate reward. Delectable. It’s early morning and Zou wants a cuddle and kiss from his mum and dad. Unfortunately for Zou, its too early for them so he needs to find a way to wake them up… lots and lots of coffee, but Zou’s plan is flawed and he needs to think fast. 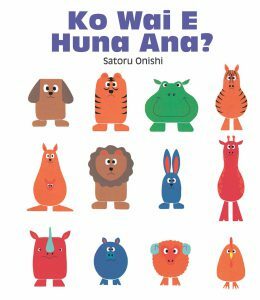 Zou is a delighful book for little ones to enjoy, complete with colourful, cute illustrations it’s an enjoyable story for the over-2s. Little Zou the zebra is determined to give his parents a treat – breakfast in bed. Parents know the possible dramas that can happen when their children take over the kitchen. The inevitable disasters occur, but Zou is a zebra with perseverance. His patient parents give him the chance to rise to the challenge he has set himself. Pre-schoolers will enjoy how Zou copes with setbacks and finally succeeds. A warm, fuzzy ending. Michel Gay’s lively illustrations take centre stage on the white pages. Restrained use of pastel colours contrasts well with the black-and-white zebras. [Zou] features a young zebra who overcomes a wealth of everyday disasters in order to bring his parents a cup of tea in bed. They eventually get their tea, but much more important is the love that comes with it. Zou has few words and would suit the beginning reader. An endearing tale of how Zou solves the situation of waking his parents so he doesn’t get told off. He has a few problems at first, but he solves it in the end with a sweet twist at the end. The pictures are pared back, mostly in black and white drawings with occasional splashes of colour. This French writer/illustrator knows a thing or two about those Saturday morning wake-ups once you have children in the house. Zou is a resourceful little zebra who wants to crawl into bed with mummy and daddy in the morning, but he finds them fast asleep and knows they will be grumpy if he wakes them up. He decides what they need is coffee – lots of coffee! What happens next is pretty funny and cute. He starts of making giant bowls of coffee, but an accident carrying the tray on the way means mum and dad end up with just tiny little play set-size drinks – just enough to wake up for only a minute, but enough time for Zou to crawl in under the covers. Once again, Gecko Press has gone for quality paper and production, which sets off the equally high-quality illustrations. This book was an instant hit with reader and read-to in our house. Perhaps the Madagascar movies might have had a hand, but both children and their parents can easily relate to the storyline, too. All small children like the mischievous antics of animals. 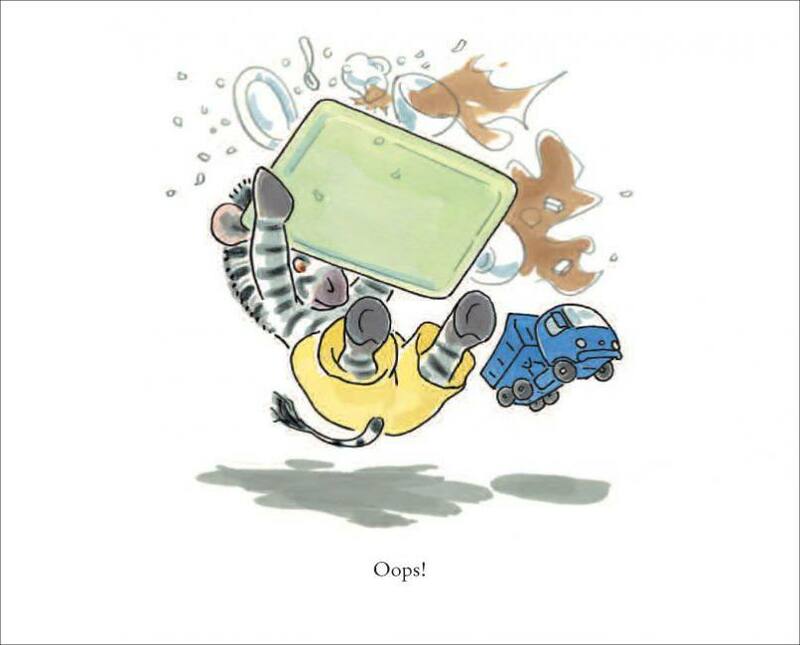 In Zou a little zebra decides to make breakfast in bed for his parents, and nothing goes to plan. Of course, Zou gets it right in the end, and much fun and resourcefulness is had along the way. I can hear my grandchildren laughing already. Zou is a small zebra who desperately wants to climb into bed with his mum and dad in the morning – but how to wake them up without making them grumpy? Zou embarks on a breakfast-making adventure the likes of which many readers will relate to – either from childhood attempts at cooking or from being on the receiving end of a well-intentioned breakfast. Children will enjoy the humour of the various incidents and accidents that befall Zou as he resourcefully tries one thing after another to get the breakfast right. The illustrations clearly depict each step along the way, making it easy for those 2 and over to follow the storyline. 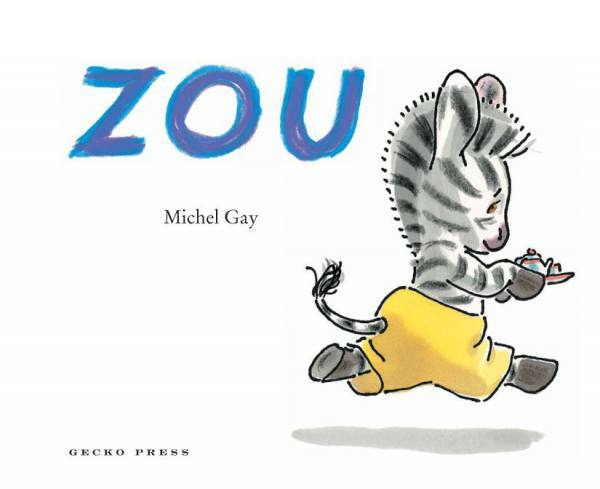 Another beguiling book is Zou, by Michel Gay. Zou is an endearing little zebra who wants to get into bed with his parents early one morning. The problem is he is only allowed in their bed if they are awake. ‘How can Zou wake them so they won’t be grumpy?’ Every child and parent can identify with this domestic situation, which is lovingly rendered in this warm-hearted story. A perfect book to read with your child in bed while having a lie-in! The illustrations star in Zou by Michel Gay. Who would have guessed watching a baby zebra create breakfast could be so meditative? ‘When Mummy and Daddy wake up, Zou is allowed to climb into their bed.’ Zou is a tiny zebra foul, who rises early and is not deterred when his parents insist they are asleep. He goes into the kitchen and prepares them some breakfast, including large bowls of coffee. The pictures show the tiny zebra carefully preparing the meal, and then stepping on a toy truck as he carries they tray towards the parental bedroom. Young readers enjoy turning the page to see the disaster which follows. Zou cleans up the mess, but now he has hardly any coffee left. His toy tea-set offers a solution and he arrives at his parents’ bedside with the tiniest breakfast imaginable. 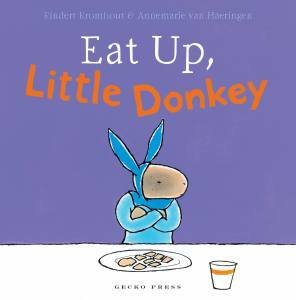 ‘But it’s hard for big zebras to hold tiny cups.’ The good humour and kindness of Zou’s parents give this book a happy ending that is also very witty. Any child who has ever snuggled in between his parents in bed will take pleasure in this book. An ideal story to read aloud. Michel Gay’s illustrations bridge the gap between the human and zebra elements of the tale to create a heart-warming allegory of children’s good intentions and parents’ understanding. They don’t come much cuter than little Zou. Zou is a children’s picture book about a little zebra who is doing his best to give his Mummy and Daddy a perky start to the day. He does manage to put together a slap-up breakfast with big cups of piping hot coffee but his best intentions fall somewhat short – literally. There’s only enough coffee left for tiny little doll’s house tea cups, and only little Zou’s tiny little hooves are small enough to deal with the miniature crockery. He is then able to leverage a prime spot in his parents’ cosy bed. ‘It’s all very well, such a dainty breakfast, but it doesn’t wake you up much. Just long enough for a little kisszzzz.’ As you can ascertain, there’s not much to to this little story, but as I mentioned in the opening – that Zou is pretty damn cute, and adorable goes a long way when it comes to kiddies books. The idea of little ones creating a trail of destruction in the cause of helping their parents is a common theme but it is extremely well executed in this delightfully illustrated book. Zou is the story of a thoughtful young zebra. When his parents are awake he is allowed to climb into bed with them, but they are asleep, so he wonders how to wake them up so they won’t be grumpy. He decides he should make them breakfast. It all goes well until he trips over a toy when taking the breakfast to his parents. Now there are broken dishes and not enough coffee to fill even the smallest cups in the kitchen. What will he do? Zou shows his resourcefulness in overcoming this problem, and in doing so, his story gives good messages to children about being resourceful, doing things for their parents, being thoughtful and also that with a loving family, the thought matters much more than the quantity. Parents may also find other messages for their children like making sure they clean up after themselves and also putting toys away after they have finished playing with them. 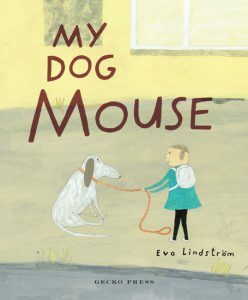 It is a good story to read aloud and has fun pictures that children aged two and over will like. The French author, Michel Gay is the popular illustrator of over 60 books for children. Many of them, like this one, he also wrote himself. Resourceful Zou decides to make breakfast but he spills it and all that is left is enough coffee for his toy tea set. So he climbs into bed and helps his parents to drink their coffee, has a cuddle and they go back to sleep. The author, Frenchman Michel Gay, has published more than 60 popular children’s books in Europe… [A] popular preschool story recommended for 2 year olds and older. delicious breakfast, complete with large mugs of coffee to wake them up. But carrying a tray laden with goodies is not easy for a little zebra and he takes a tumble on the way to deliver the breakfast. With only a small amount of coffee left, Zou has to improvise and uses tiny cups to make the coffee go further. He soon discovers his parents’ big hooves don’t handle small cups so well. 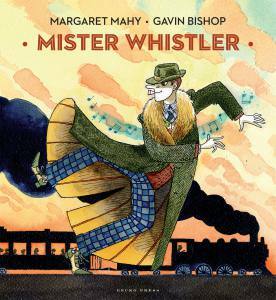 A funny, heart warming family story – especially good for Saturday morning lie-ins. This simple story is simply charming. It’s a warm, loving depiction of family relationships and family life. My daughter loves this story because she relates to Zou’s view of the world and his dilemma – how to wake his parents in the morning. 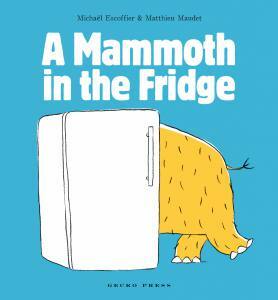 The book’s gentle humour operates on different levels and appeals to both adults and children.